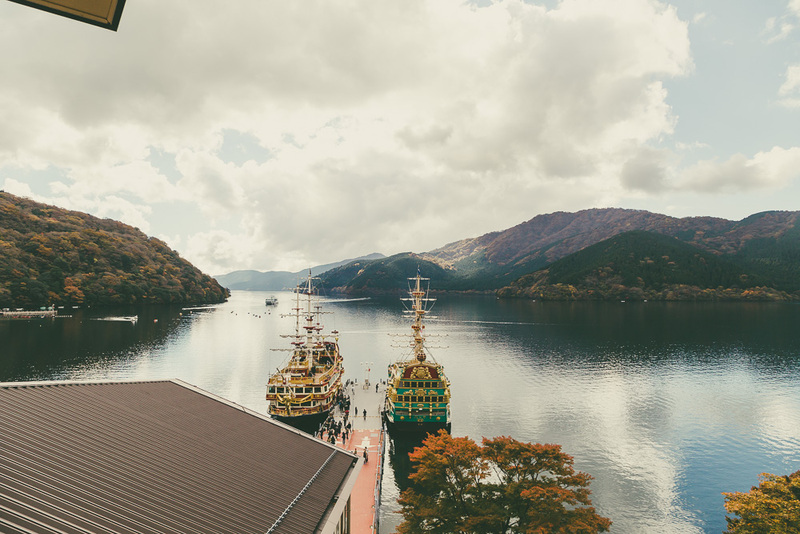 Last year I spent a week in Tokyo with a couple of day trips out of the city, including a great day spent in Hakone (Kanagawa Prefecture). Normally you'd want to spend at least 1 night here, but I caught the first train there and one of the last ones back, so it was a very long day. As popular as this area is (and for a good number of reasons), I came primarily for just one: to photograph Mt. Fuji. After checking the weather meticulously, the day's weather was set for clear blue skies so I set off. There is a straightforward counter-clockwise transportation route that takes you through many of the popular spots, and what I was looking for was towards the end. Given that I had a JR Pass, I took that to Odawara station and then transferred to the Hakone Tozan Railway to Gora. Here we began to climb the mountain. 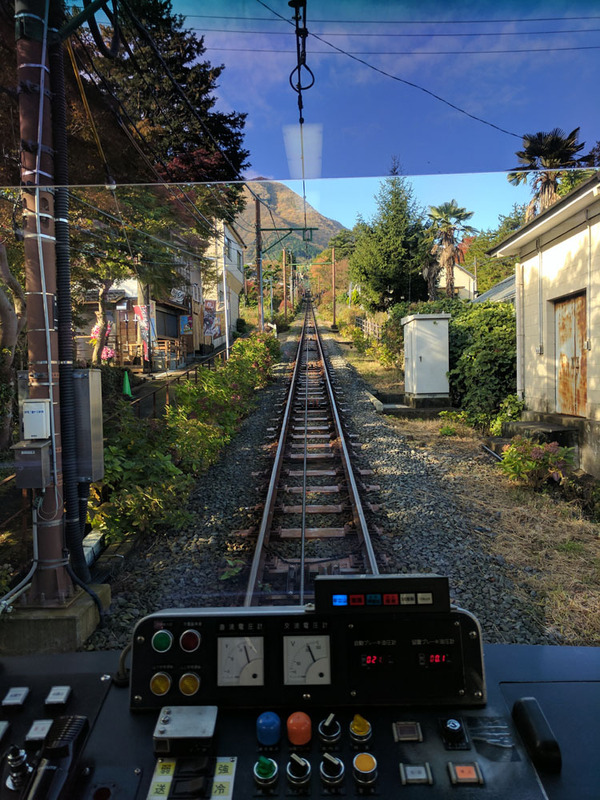 Upon stopping at Gora, the final destination for the train, we all walked about 50m to get on the Hakone Tozan Cablecar to bring us to the top of the mountain. This cablecar is designed to be able to climb the steep mountainside. Despite an already long trip, there wasn't anything to see just yet. In my opinion, we had now arrived at the beginning to the best part of the journey. 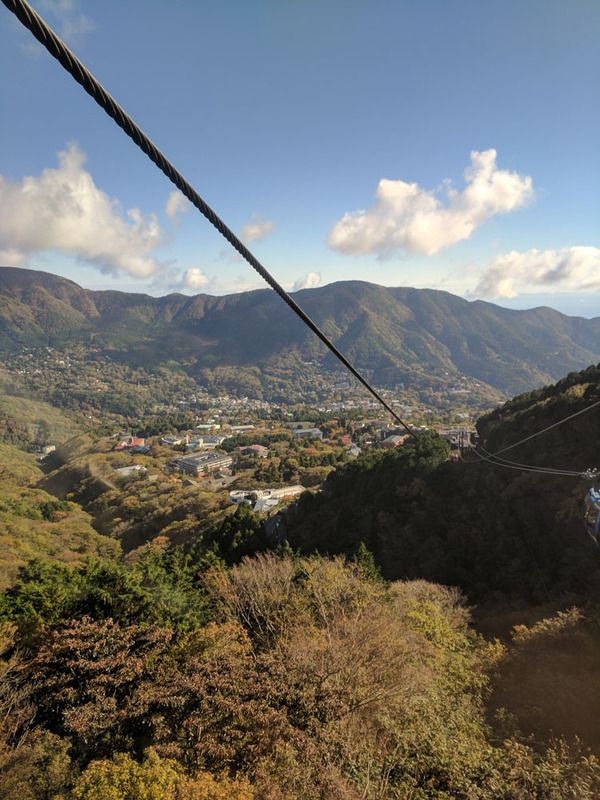 The Hakone Ropeway takes you through the mountain region. On clear days, you'll be able to see Mt. Fuji, and even though I had some cloud cover, the volcano did come in and out of view. 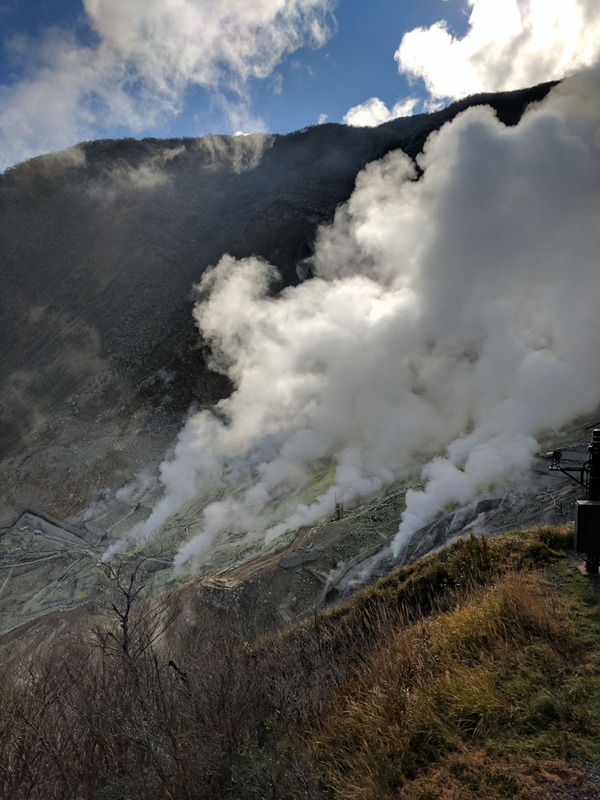 The ropeway makes a stopover at Owakudani, where you can (if conditions permit) hike around the area and view the sulpur vents up close. Certainly the very first thing you will notice is the very foul smell, and many people will have their noses covered. Continuing on the ropeway, we began to descend down to the lake and also pass more closely to Mt. Fuji showing its peak in the distance. 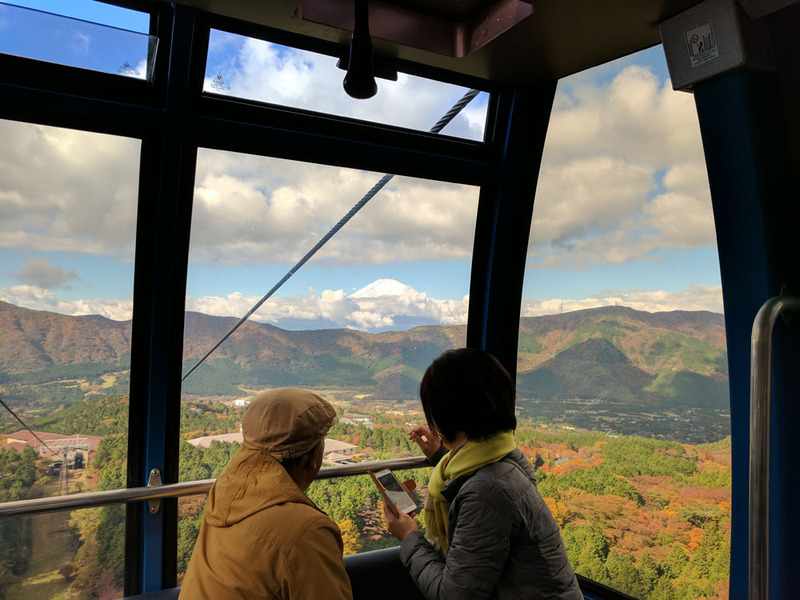 Upon departing the ropeway, there isn't much to see or do except to transfer once again. 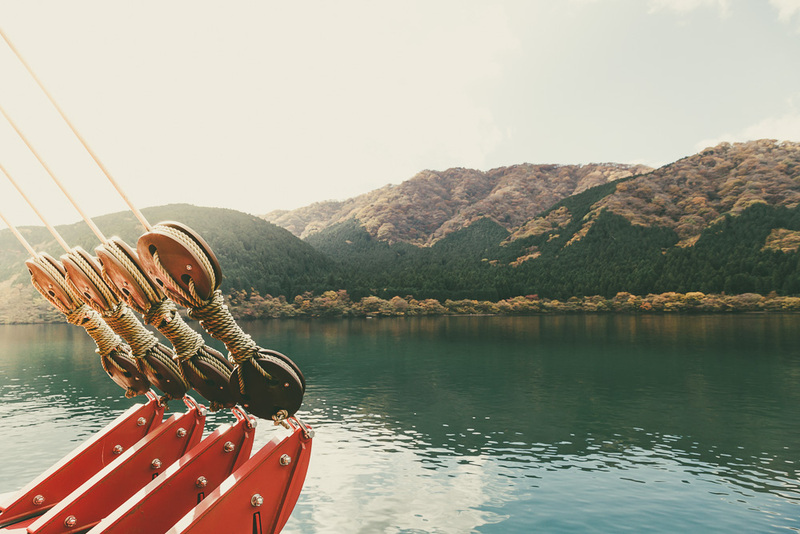 This time it's a boat tour around Lake Ashi which resembled a pirate ship. Docking at Moto-Hakone, I departed and headed for Hakone shrine. While shrines are a dime a dozen in Japan, a nice walk along the waterfront rewarded me with a uniquely oversized torii gate right at the water's edge, signaling the entrance to the shrine. Patience was key here, as people were coming and going constantly to vist this gate and it was difficult to get a photo without it being full of people. 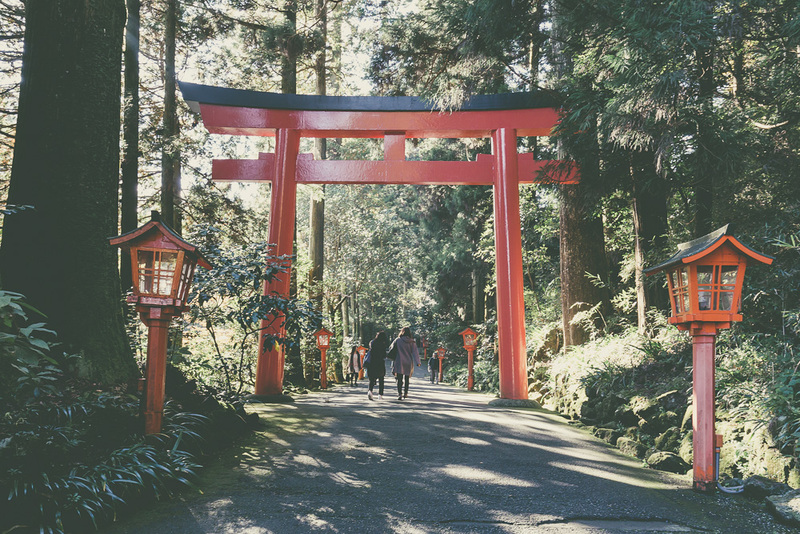 Backing up from the waterfront, the shrine also had a beautiful entrance that took you on a short stroll through the forest. Afterwards I walked a little further along the waterfront trail and eventually retreated back to where I had departed the boat. It was still a bit early for sunset so I stopped in for a snack and late lunch, as this was the specific place and reason I had visited. 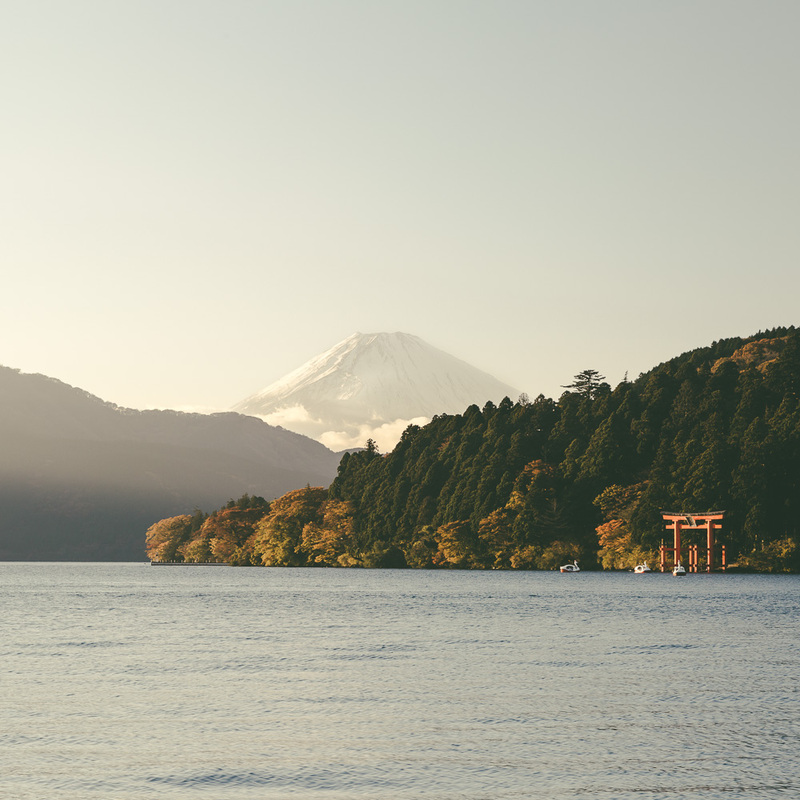 This was the composition I wanted: Lake Ashi with the large orange Torii gate against the mountainside with Mt. Fuji in the background. See it right there in the middle? Because I couldn't. Despite planning around a "clear sky" day, cloud cover had completely taken over the sky and covered the view of Mt. Fuji. I didn't really have a Plan B, so while others moved along, I decided to wait it out. As luck would have it, the skies cleared up at the most perfect and I had a view of Mt. 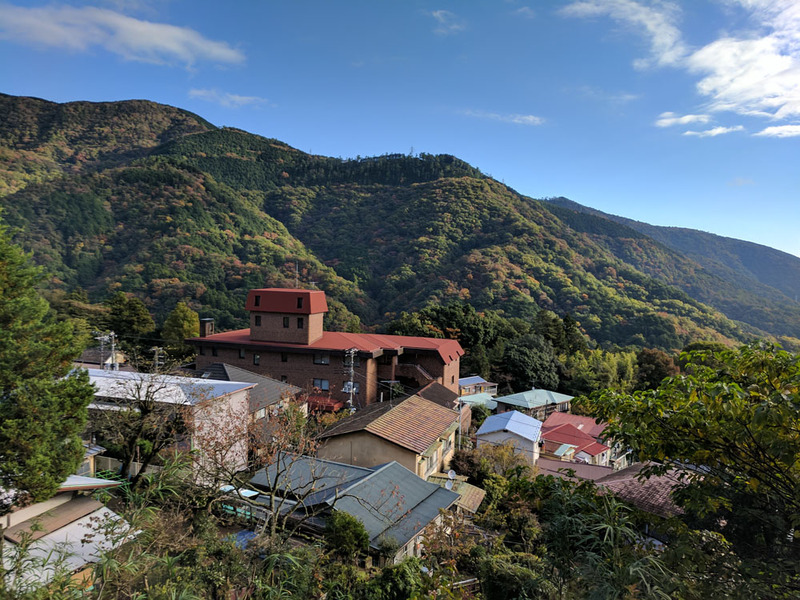 Fuji, the torii gate, and the mountainside forest in autumn. I was set up and I waited as the sun began to fall below the horizon. My entire day's trip lead to this one shot I wanted to get at sunset, and all my research and planning (with some luck) had finally paid off. Now, it would have been nice to have a little more interest in the sky, but I will happily take a clear view of Mt. Fuji over no view at all. I spoke to countless people who had spent days in the region and had not seen Fuji once due to the cloud cover. As the final light of the day began to disappear, clouds started reappearing adding some extra mood to the scene yet still providing a clear view of Mt. Fuji.